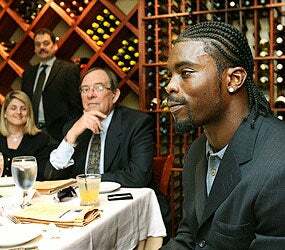 We're just gonna lay this one out there: Michael Vick has a restaurant, and, sadly, they do not serve Mexican food. "I can't play football forever. I'm going to have to become an entrepreneur and make my money grow. This is a step in a different direction. I'm trying to do some things differently." It's a wine bar, it seems, but we'll say this: We'd be incredibly careful about what they're storing in those wine bottles. Upon its opening, by the way, Marcus Vick tried to rob a couple teenagers in the parking lot.